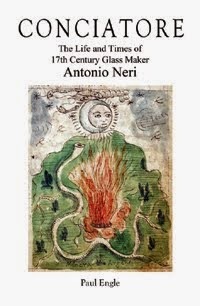 In 1790, two centuries after the life of glassmaker Antonio Neri, his name appeared in an unlikely place: in the annotations of a Swedish manuscript that was translated into Italian by one of Florence's leading scientists. On second thought, perhaps its appearance is more unexpected than unlikely. Torbern Bergman was the celebrated Swedish chemist responsible for the manuscript and the translator was Felice Fontana, the founding director of Florence's Natural History Museum (La Specola). Fontana took the opportunity to annotate Bergman’s History of Chemistry in the Middle Ages with a list of Renaissance era materials collected in the Grand Ducal library in Florence (now the BNCF). Figuring prominently among the documents was alchemist Antonio Neri. Below is an excerpt from one such letter, penned by Don Stefano Giraldi, the prior of San Pancrazio Church in Florence, addressed to "Your Excellency." In the passage notable characters are Don Antonio, Neri's long time benefactor — the Medici prince who ran the Casino di San Marco laboratory where the priest first made glass. Also, Francesco Orlando Lorenzi (Count Lorenz, active 1793) was third count of Lorenzana and the minister of France at the Florentine court in the time of Louis XV. Of other works of Preist Neri, I do not know if they have been published or even if the manuscripts have been found. 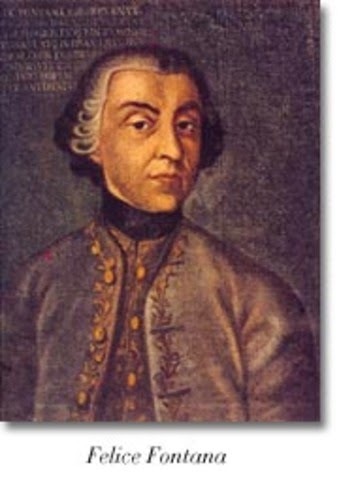 Uniquely, Father Maestro Arrighi, [Augustinian] Serviette and Alchemist, in 1735 bought books that Count Lorenz had sent to France. Among them was a large manuscript in quattro by Antonio Neri. He told me that it contained a method of making the philosopher's stone and that there was a preamble in which Neri confessed to have copied this method from a manuscript found in an old library. He tried [the recipe] several times and always failed. To raise hope for others to enjoy much treasure, he had copied the method by characters in a cipher he invented and burned the old original. P[reist] Arrighi never let me see the manuscript, which was four fingers high as he assured me that the bookseller had sold it to him for the price of 5 lire; and no doubt, there will be other things besides the process of the philosopher's stone, which occupied[only a] few page. This flaw in Priest Neri to pass himself off as the possessor of the philosopher’s stone detracted much from his esteem. Nearby, his countrymen were wise and enlightened, and therefore he never attained the good image he should have had in his country, his mercy was the real merit of so many other good things; indeed always absent [making] gold, though he wanted to give the impression that he could, he incurred various dangers, and was forced to spend some time wandering. This gem of a letter has many interesting facets. First, it establishes that 150 years after Neri’s death, his name was still on the lips of royal courtiers and his manuscripts commanded a dear price from booksellers. It also establishes a route that his unpublished work took in leaving Italy, through France. The letter also provides us with insight to the changing narrative about alchemy. Neri was being distanced from the less palatable aspects of his work. "[I]f he could not make gold, [he] did know how to make many other beautiful and useful things, and has secured eternal fame with his work on the Art of Glassmaking." His sponsor Don Antonio’s portrayal as gullible about the possibility of transmutation kept the prince's reputation intact, even if somewhat diminished. (Popular history seems to have little conscience when it comes to making those who came before seem stupid.) Both Neri and Don Antonio were dedicated experimenters and they knew the proof of transmutation lay in actually making gold and they tried relentlessly. The narrative presented in the letter makes an appealing, face-saving story line, but we need only cast a sideways glance for it to start crumbling. According to the writer, Florentines were too sophisticated to be drawn into alchemical gold-making schemes, yet a little later we find out Neri was forced to "wander" Europe, chased out of Florence by those demanding the secret of transmutation. Which was it? The work of Neri's countryman and contemporary Galileo had established the natural sciences as Tuscany’s great patrimony. In the mid eighteenth century, when the letter was written, experimenters were as eager as ever to separate themselves from the charlatans and mountebanks who sold miracle cures and fueled impossible dreams. By then, it was agreed by researchers that transmutation was not possible, but even in the nineteenth century, there was no theoretical foundation to back up this supposition, which made it a sore point. Because of the acclaimed glass book, Neri earned a place in the pantheon of Italy's 'great men', but at a cost. His now 'embarrassing' work on transmutation caused the rest of his legacy to be largely written out of the history books. Ibid, pp. 99 - 101. * This post first appeared here 24 December 2014.